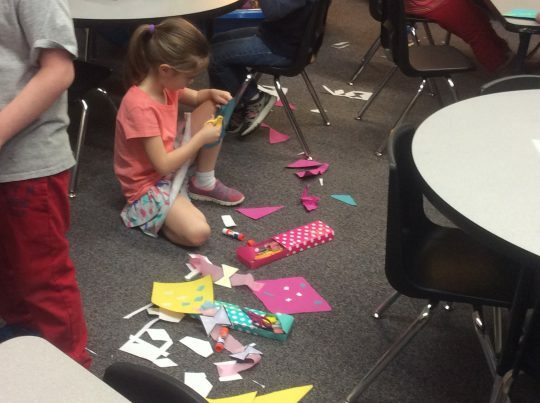 Kindergarten classes had a great time telling about themselves through the kindergarten kite glyph activity. 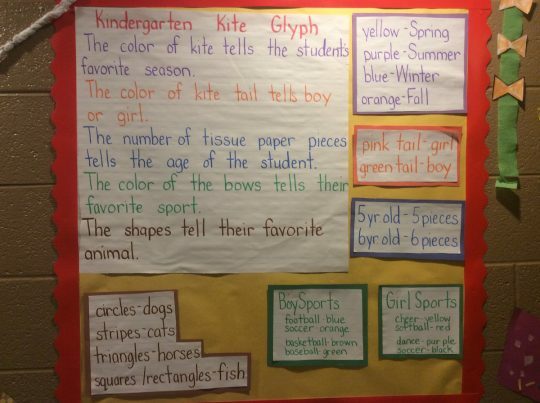 Each student’s kite shows their favorite season, their age, gender, favorite sport, and favorite animal. Using the instructions in the picture below, the students worked independently to complete their kite. 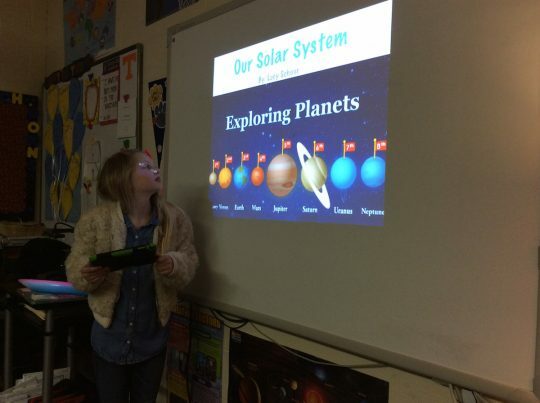 Third grade students created Keynote presentations and flip books to show their knowledge of the Solar System to include the Sun, Inner & Outer planets and the Asteroid Belt. 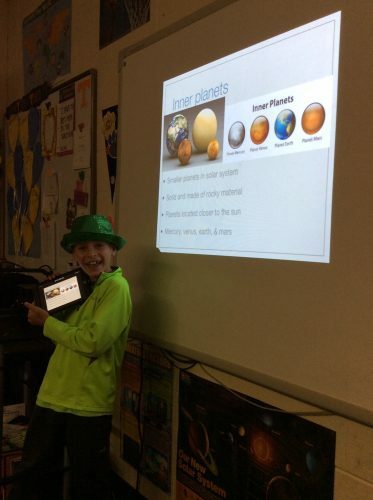 Students presented these to the class along with interesting facts they learned. 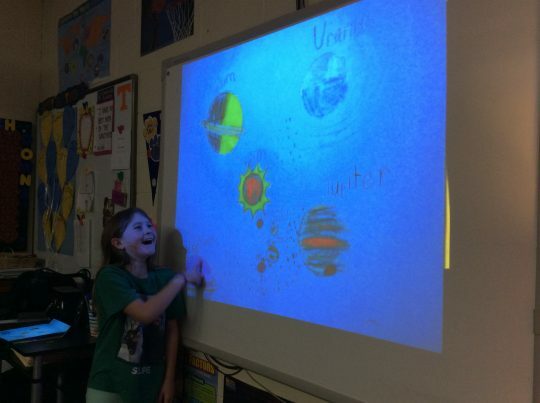 Third graders concluded their unit on weather. We created the water cycle using domed weather discs. 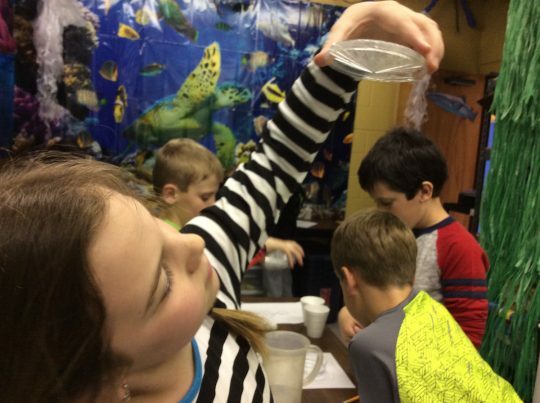 Applying ice, we noted the “atmospheric” changes in our disc models. 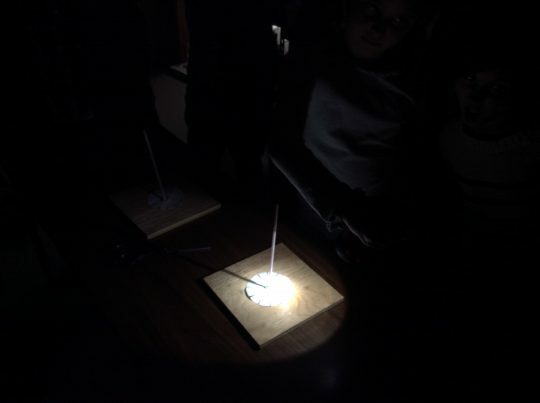 Second graders continue their investigations in Space. We created Sundials. 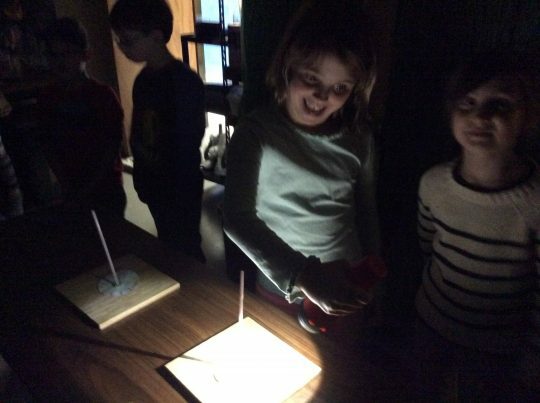 Using flashlights acting as the sun, we noted the changes in the position of the shadow and shadow length. 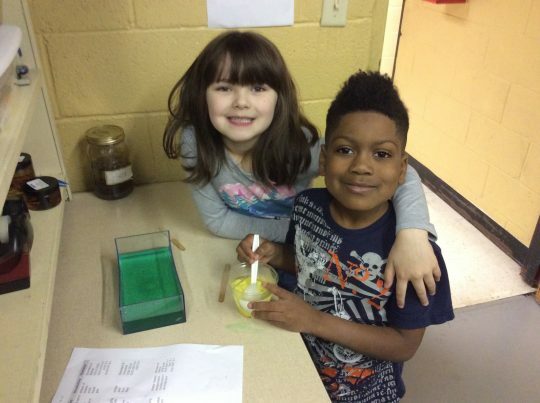 First Graders continue their study of Matter. 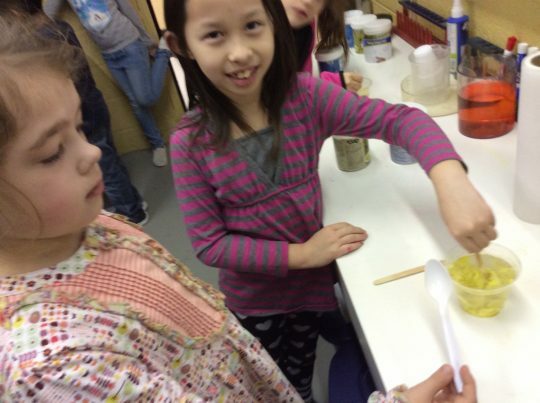 This week we explored liquids and added solids to observe the effects. We used hydrophobic sand. 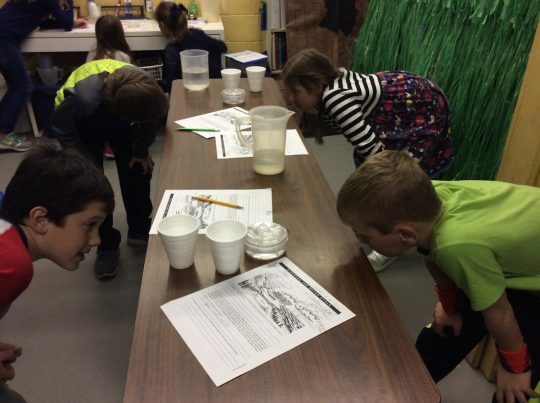 We observed the qualities of the sand when submerged in the water, and when the sand is removed from the liquid. 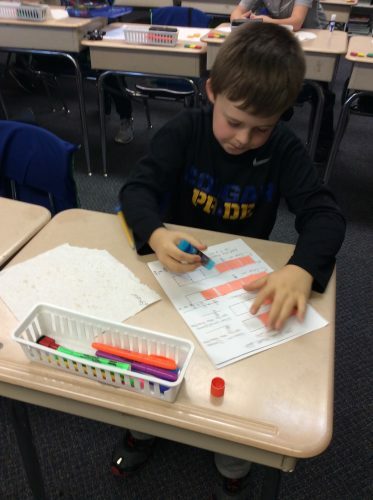 Students in third grade used crackers and squares of paper to learn how to write and add fractions. They changed improper fractions to mixed numbers. 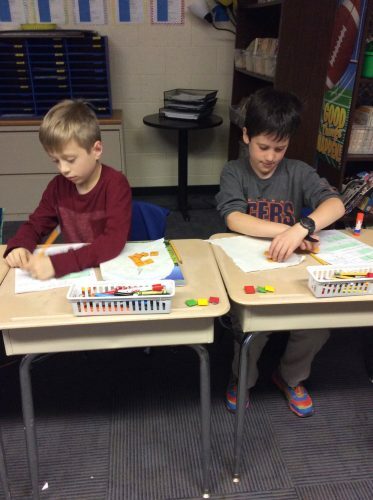 They ate their fractions after the activity! The annual Spring Book Fair begins today in the library. The fair runs through Friday and will take place from 7:30-3:30 daily. Make your plans to stop in and see what’s new!